In 1993, a box with cash in plastic bag was found in the office of PETRODIN Joint Venture, a company of Gennady (Gennadios, in Spanish) Petrov. 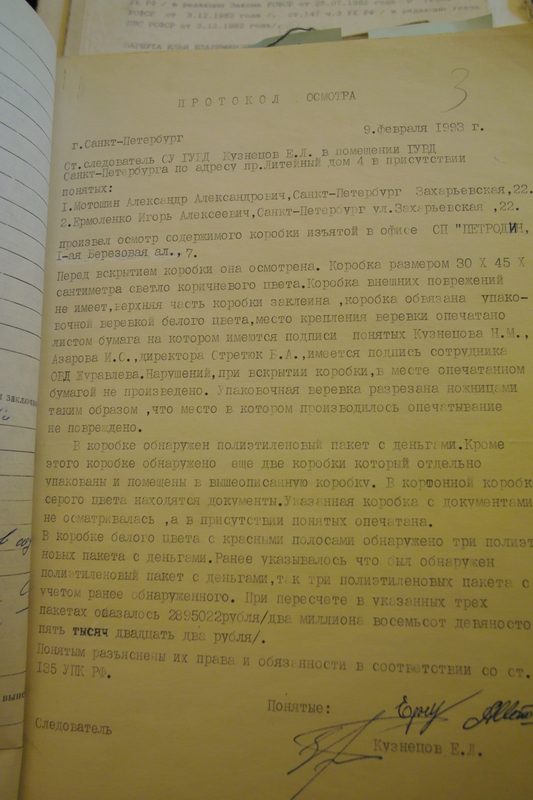 This is the protocol for searching Petrodin’s offices, 1993. Acquittal of all 17 defendants in the Spanish criminal case against the Tambov gang on charges of money laundering and creation of an organized crime group. Released on October 18, 2018. The “anti-economic” transactions from Cyprus, Panama, Liberia, and Liechtenstein to Spain by collaborators of Gennadios (Gennady) Petrov, Sergey Kuzmin, and Alexander Malishev do not indicate that the money was criminal, the sentence states. Spanish judges even acquitted two defendants who acknowledged themselves to be guilty of money laundering and of organized crime, Mikhail Rebo and Leon (Leonid) Khazine, stating the court is allowed to do so. Spanish judges expressed a high level of trust in Russian FSB reports. 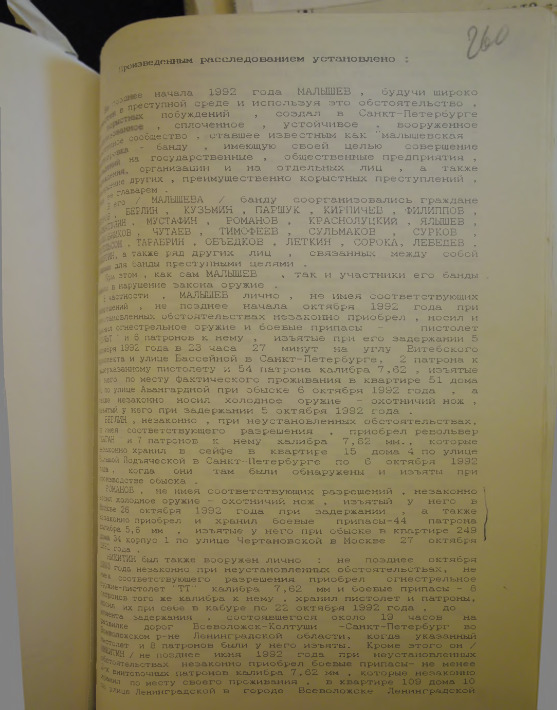 The arguments of the defendants: acquittal of Gennadios (Gennady) Petrov, Alexander Malyshev, and Sergey Kuzmin in a Russian court in 1995 (see the conclusion of accusations on gangster association and other materials from this 22-volume case in the TBCA and also undenied press reports that Petrov bribed Russian judges in 1994). The Spanish sentence pretends that Petrov was not involved in organized crime, based on two reports from the Russian FSB and several more letters from different Russian law enforcement bodies, as well as on the conviction for defamation of a Russian media outlet for linking Gennady Petrov and Ilias Traber to organized crime (for background, see freedom of press in Russia). In the sentence, the defendant, Vladislav Reznik, is recognized as a former member of the managing board of Bank Rossiya. Gennady Petrov (the main defendant who escaped from Spain to Russia) is described as co-founder and 27% shareholder of Bank Rossiya until 2003, which ought to prove the legality of his activities and his high standard of living. The Russian-Swedish company, Petrodin (one of St. Petersburg’s municipal casino operators in the 1990s), is also mentioned by Spanish judges as a legal entity of Petrov, explaining his wealth. From TBCA on Petrodin: see Petrov’s Swedish partner’s letter, 1994. In the office of PETRODIN Joint-Venture a box with cash in plastic bag is found (1993), see search protocol of Petrodin, 1993. 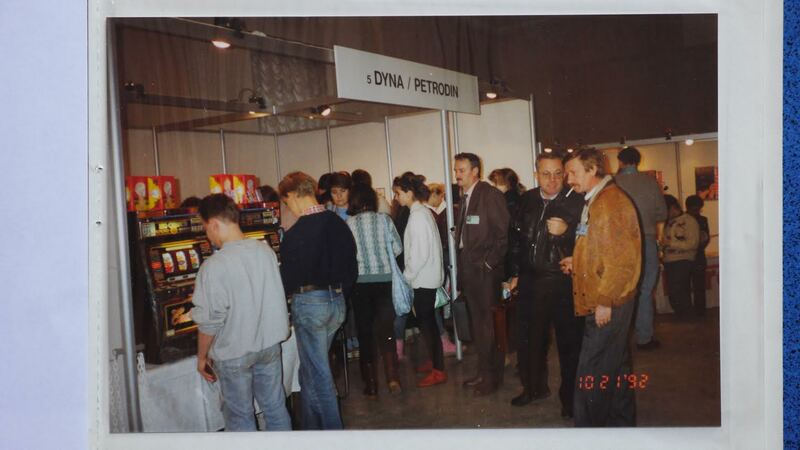 See also Petrodin’s casino stand , established officially for “market research”. Audio tape of conversation in Russian of Vladislav Reznik, State Duma Member and alleged mobster of Gennady (Gennadios) Petrov, recorded on December 7, 2007, in the context of the “Troika” Spanish criminal case. Reznik is reminding Petrov to arrange a meeting of Len Blavatnik with somebody at the top and Petrov promises to do so. Possible traffic of influence (see Tambov gang for more details). Blavatnik is an American citizen, born in Odessa (USSR), who contributes to the Republican Party’s election campaigns. He is a philanthropist in the UK. Source of the tape: criminal case “Troika” in Spain in 2018 against the Tambov criminal gang on money laundering, criminal association, and other charges.